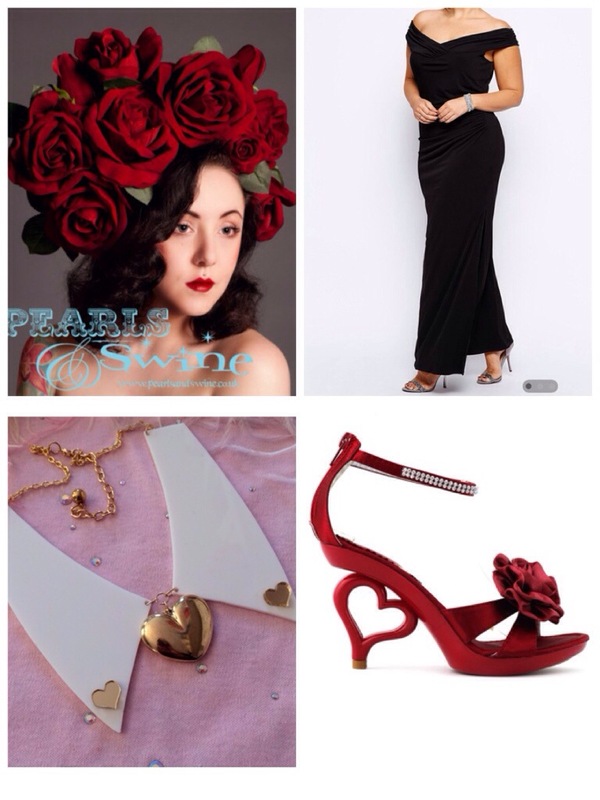 Today’s plus size Disney inspired outfit is based on The Queen of Hearts! The products shown are all available to buy right now – just click the links! How could I not include that sensational Pearls and Swine head dress? I long to own one of this supremely talented ladies designs!